Do you find that your mind is often occupied with the stresses of modern life? Do you find yourself worrying about things that are already in the past or things that haven’t happened yet, and might not occur at all? Train your mind to live in the now and relieve anxiety with Mindfulness & Meditation. With a grounding in Buddhist principles, this 48-page book and meditation & affirmation-card set will show you how to integrate meditation into your daily life – getting started is as simple as finding a quiet place to sit. 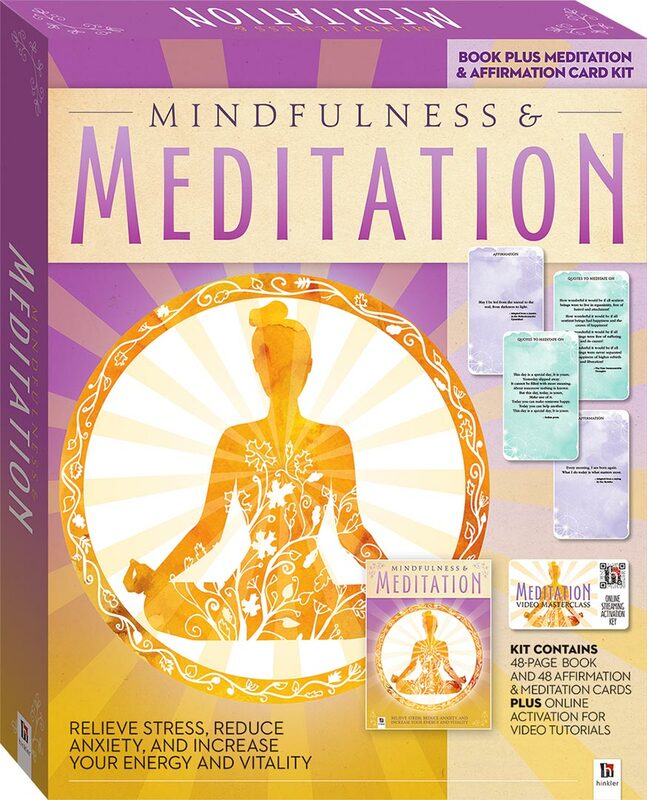 Featuring 18 meditations, from a simple breath meditation to a compassion meditation and to a more advanced meditation that reflects on actions of the past and how to best avoid them in the future, Mindfulness & Meditation enables anyone to move towards enlightenment – a journey that will bring a sense of peace, calm and, ultimately, happiness. With a bonus activation card included, which allows you to access exclusive online videos of Buddhist monk Venerable Thubten Lhundrup as he introduces you to Buddhism and guides you through many calming meditations, this kit will help focus your mind and create more positivity in your life.